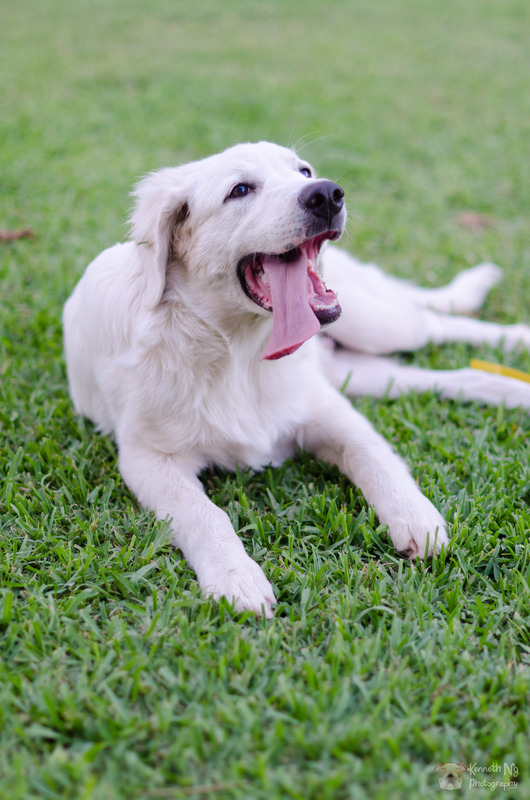 Rambo is a Great Pyrenees, he is 6 months old and weight 60 lbs. Rambo is very friendly, playful, and loves to give everyone kisses. Hello!! Kenneth here. A thing or two about me eh? My friends tell me that I'm very likable. I'm very goofy and makes funny noise to get attention. I have always loved photography ever since I was a young boy but it was not until recently I had discovered a passion for it. It all started when I was asked to help my friend take some photos of his graduation with his DSLR camera. I'm a huge, HUGE lover of animals. I would stop by any pet store I see while driving and spend hours shopping for my pets and looking through every single isle. I've been photographing pets since 2009 and love every moment I spend with them. If you love animals just as much as I do, then I think we will hit it off. 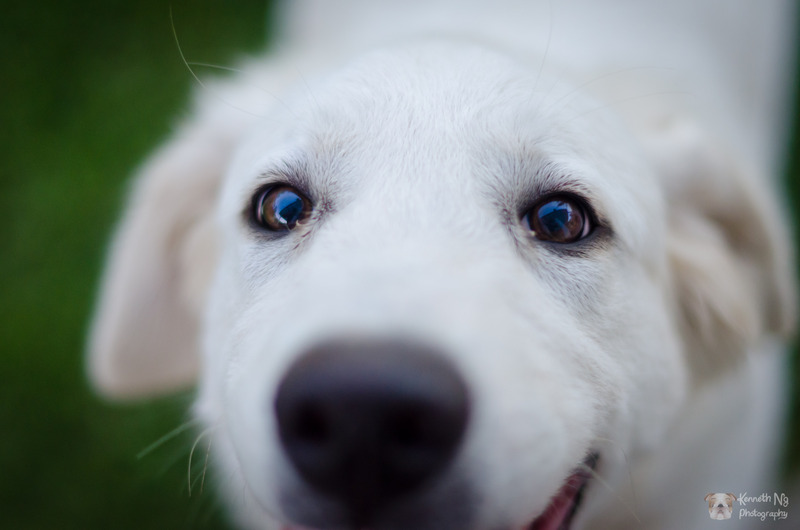 This entry was posted in Dogs and tagged dog, dog park, double coat, great pyrenees, puppies, puppy. Bookmark the permalink. The top photo, I really love it. Extraordinary nice picture! I love the sharpness of the eyes contrasting to the bluring of the rest! I’m doing a research on the color vision of dogs. I want to use this photo (the top one) on my cover of the book I write on it. This book is not commercial, it won’t be sold, it is just for me. Only my teacher will have one.